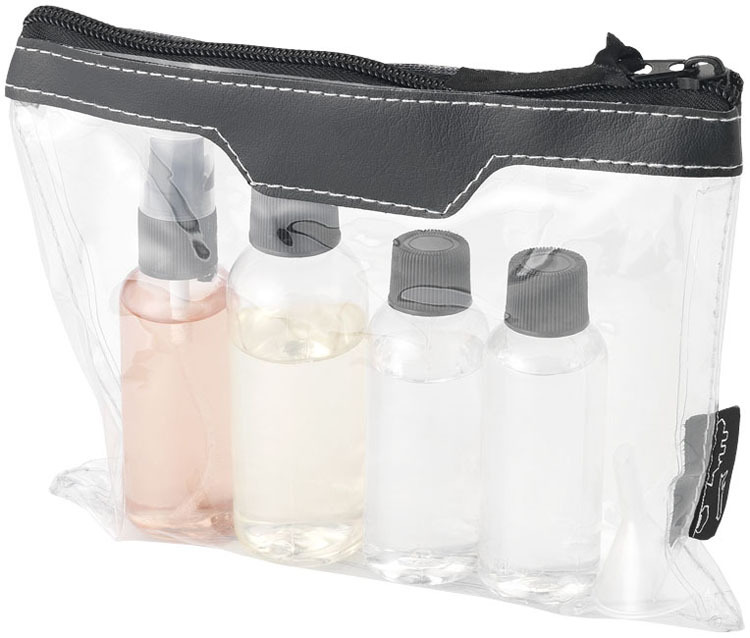 The Munich travel bottle set.Airline approved toiletry bag which you can bring on-board. 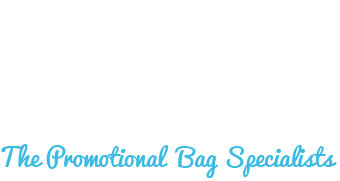 Including 2 x 50 ml bottle, 1 x 90 ml bottle and 1 x vaporiser and funnel. 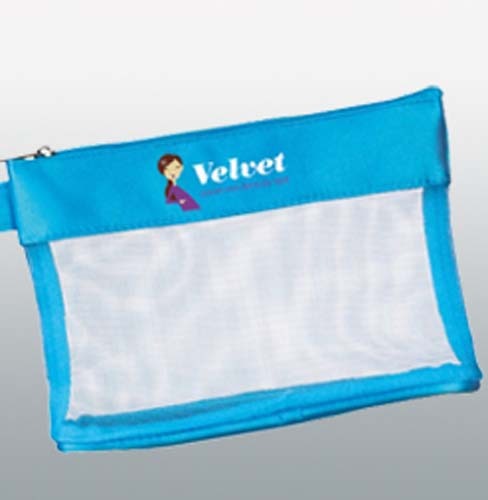 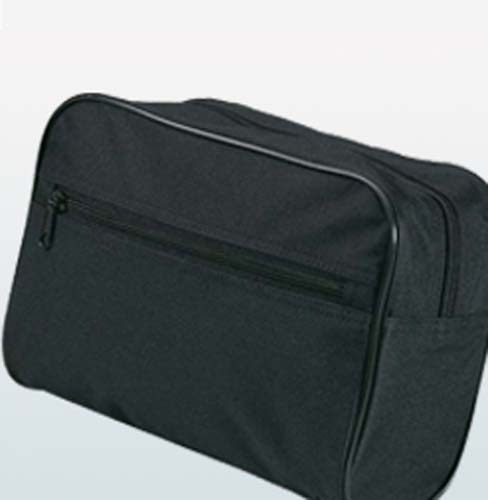 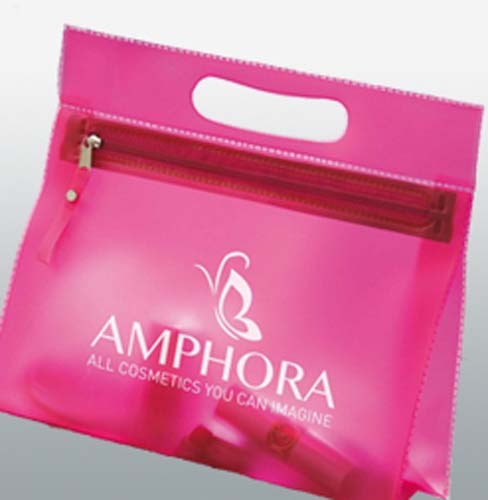 Made form PVC, the pouch can be branded, making it an ideal way to promote your brand as people travel.